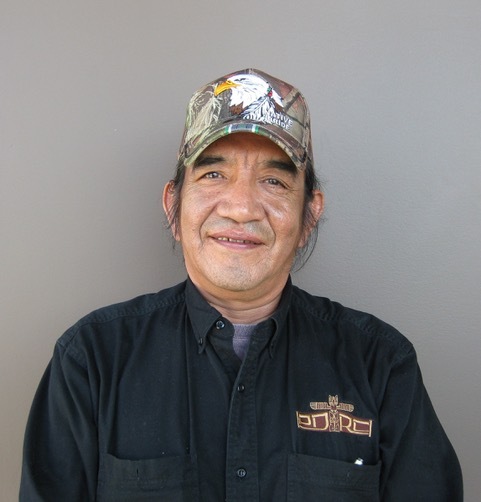 Brian Joseph Grandbois is of Dene Suline (Chipewyan) descent. He was raised by his grandparents on the Cold Lake reserve in North-eastern Alberta. Brian was able to learn the rich culture and language of his people from his grandparents and other Elders. These teachings included the arts and traditional stories that were passed down from generation to generation. He was influenced by fellow Cold Lake artists such as Alex Janvier. Brian did not limit his experiences and travels to just Dene people, but to numerous Native Nations across Canada, the U.S. and Mexico. Click to view Brian's paintings.